Driving instructors, if you don’t have a website, you’re missing out on the majority of your audience. The only time you might be confident you can get away with not having a website is if you are the only instructor in a region where you’ve operated for years, you have great word-of-mouth business and you are confident no one else will establish themselves near you, or you’ve decided to solely use social media (e.g. a Facebook page) to market and run your business. The first part of this article gives you options for setting up your website. The second part gives you options for improving your existing website. Having your own driving school website means that you have a lot of flexibility with how you use it for marketing. Contrary to running a Facebook page where you have minimal control, a website can ultimately interface with booking systems, upsell products and give you much more data about how your potential clients interact with the site before and after purchasing from you. The first step is to get a good domain name. For search engine optimisation, one with ‘drivingschool’ in it can help. Localised names can be beneficial for exact match searches. For example, if I search Boston driving school, I get bostondrivingschool.co.uk. Despite being a very simple and basic construction, it ranks highly against other driving schools in the Lincolnshire area. The other top-ranking site is bostondrivinglesson.com which looks confusingly like an American site due to their use of an American image with a left-hand drive car on the first page. You can get a .school domain from some vendors. Google searches are the primary way that people find out about websites and Google does place some emphasis on these ‘exact match domains’. Ensure that when you purchase your domain that you will have full control over the DNS – ask the question of the company before you do it. If you purchase your domain through a large, reputable company such as Google Domains. The important thing is to use a content management system (CMS) to manage the information on your website. There are loads of these around. Popular ones include Wix, WordPress, Squarespace, Weebly and Drupal. Many website hosting companies will provide a base install of a system like WordPress, or you can use a system like Wix or Squarespace where you host with Wix or Squarespace. Be careful of getting locked into a system that is not able to be expanded. WordPress is arguably the most flexible system, but it can take a little more money to get it set up. There are thousands of plugins for WordPress which allow you to add rich functionality on your website to sell products and services, take bookings, etc. We use a mixture of WordPress and a custom-coded quiz. The easiest way to start is to find a template on Themeforest or Templatemonster. You can purchase one for far less than it would cost to design one from scratch. You can then have a designer modify it to what you want. Note that not all content management systems make it easy to install these types of templates, and you might find that systems other than WordPress, Weebly and Drupal lack the choice. Make sure any template you purchase is ‘responsive’ for mobile users. Once you have the theme you want, hire a web designer to put it together. A local web designer will be able to meet with you to discuss your requirements; this is best if you aren’t experienced and don’t know much about websites. If you do know a bit about websites then you could use a freelancer website like Upwork and hire someone from anywhere in the world. Unless you’re using a hosted service like Wix, choose a domain host in the UK as the response will be faster for your users. If it’s in the USA then the traffic has to cross the Atlantic and that takes precious milliseconds. It’s preferable to use a hosting provider that gives you a lot of flexibility over what you install. Bear in mind that if you are on a shared server, there will be limitations as to how much optimisation you can do (see below). Get an email address for your domain name rather than using Gmail or Hotmail (i.e. [email protected]). You can use Google G Suite if you want to get the same functionality as Gmail but with your own domain name (we do that). You will need to make a minor modification to your domain name’s MX records (easy if you’re purchased via Google Domains and are using Google G Suite). We use Godaddy and G Suite. Run a test at GTMetrix and do as many of the fixes as is feasible within your budget. Some will be easy, some will be costly and some will be impossible. The impossible ones tend to be because you are on a shared server with many other sites and the hosting provider won’t make the changes you require. Optimise the images – don’t load huge images on the webpage. No image on your page should be more than around 150kb (and that’s only if it’s a large photo). You can optimise your images using Optimizilla. Ensure you are using a good quality web host. Hosting that costs ten quid a month is unlikely to be fast or flexible. If you are using WordPress, don’t bog the site down with unnecessary plugins; only use plugins that actually add value to the user, not what you think is cool. Google has moved to a mobile-first system of indexing sites. This means it will prioritise sites that are mobile-friendly. If your website doesn’t have responsive design, it needs to be changed. Use a service like What Users Do to see how a person who has no experience of your site approaches finding information. You’ll get feedback about improvements you can make to make it clearer. In this article, I’ve linked out to companies that are authorities and have earned the right to be linked through providing a useful service. Google likes when links are useful. Linking out to certain sites puts you in the same ‘neighbourhood’ and is beneficial to your site. Can people book online with you? How many ways can they contact you? Can you take payment online? Do you have an app for iOS or Android phones? Do you have an artificial intelligence chatbot which can answer basic questions without you having to be there? More and more searches are being conducted using voice. Consider that your clients will be asking their devices questions and expecting to get a relevant answer. Can your company provide that answer? 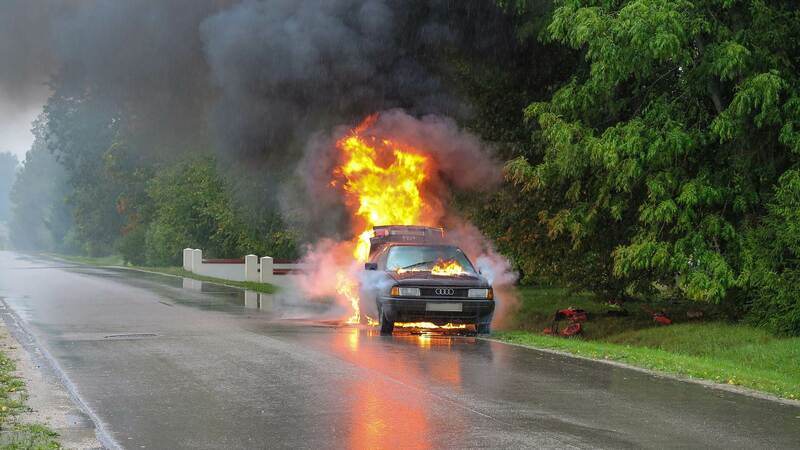 ‹ Do you need to carry a fire extinguisher in your car? Do you need to carry a fire extinguisher in your car?